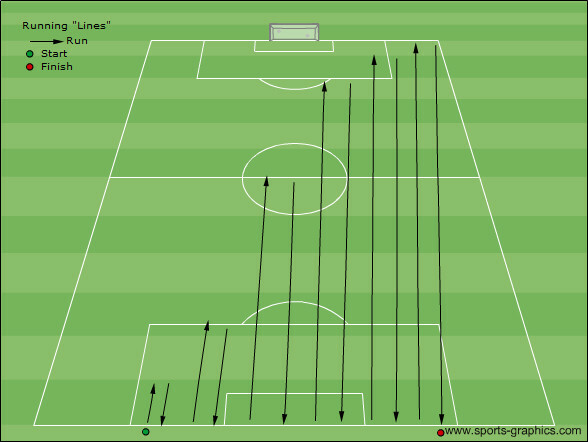 Endurance in soccer is the ability of players to maintain physical activity and intensity over time. This calls for players to be able to run, and to be able to perform skills with a minimum of degradation, for the entire duration of a game. 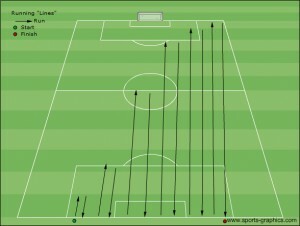 At the highest levels, in a tournament match this duration could include regulation time, extra time, added time after each interval, and penalty kicks for a total of up to two and one-half hours. There has been a lot of excellent research and scholarly work put into the best way to attain and measure optimal endurance fitness for soccer players. For youth and advanced players alike, the drills and activities used to promote endurance are probably best if they use a ball as incentive. Sometimes, however, it just takes running. 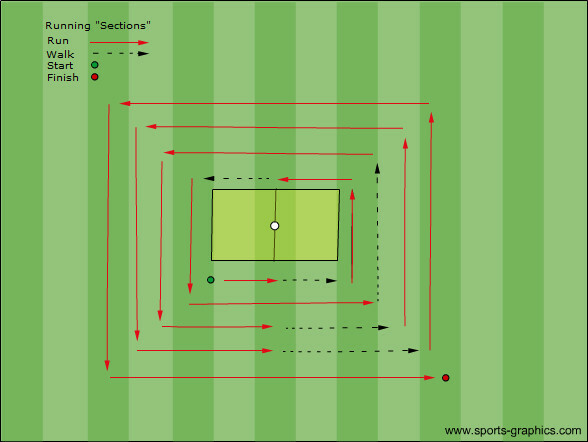 The following activities do not use a ball and are recommended for players age 14 and older. They are expected to be used with a full-sized, well-marked field. 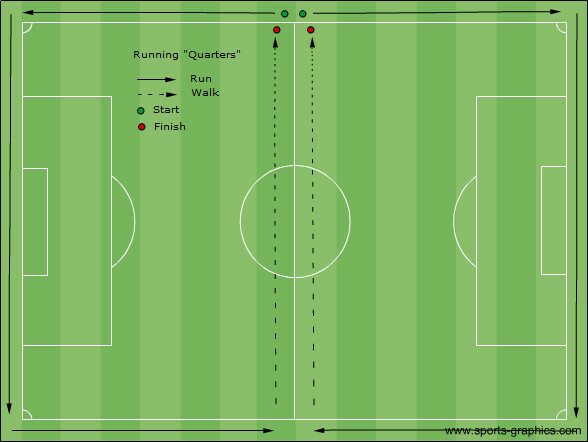 Upon beginning in two parallel groups walking along the Halfway line, players will split off in twos at the Touch-line and then sprint/run in opposite directions around the perimeter of three quarters of each half of the field. 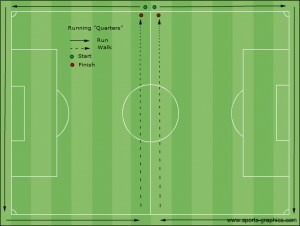 As they meet at the other intersection of the Halfway line and the Touch-line, the players then walk along the Halfway line back to the starting point. Run three sections; walk one section, etc. This continues until the players run the perimeter of the entire field. – Each of the activities above may be repeated, as appropriate, based on age and fitness levels. 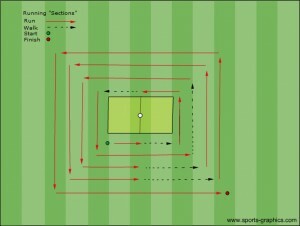 – Traditional “laps” around the field are generally discouraged, but may also be used. – Road running and cross-country runs are definitely discouraged due to the dangers of vehicles and uneven surfaces. Traditional running tracks may be used instead.